On 15 August 1992, Georgian troops had moved into Sukumi, the capital of the self-proclaimed independent State of Abkhazia. The Abkhaz claims for independence rested on the brief period of independence between the end of Tsarist Russia in 1917 and the Soviet conquest of 1922 when Georgia, Armenia and Azerbaijan were consolidated into the Republic of Transcaucasia; The Republic of Transcaucasia existed to 1936 when it was again divided into Georgia, Armenia and Azerbaijan by the 1936 USSR Constitution. During the Stalinist period, Stalin, who was a Georgian, encouraged ethnic Georgians to move to Abkhasia so that at the break up of the Soviet Union in 1991, the Abkhaz were a minority of some 20 per cent of the 300,000 inhabitants of Abkhazia. 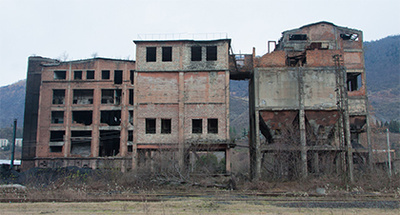 The demise of the Soviet Union generated an unstable environment throughout the Caucasus of which the two wars in Chechenya have been the bloodiest examples. Political structures and economic practices that had long conditioned the lives of the population were quickly undermined and long-suppressed aspirations were unleashed. Ethnic incompatibility was central to the hostility that followed between many different communities, coupled with political and economic struggles. In August 1992, after early victories of the Georgian forces, the Abkhas received aid from Chechen and Russian "volunteers" who drove back the Georgian troops. This fighting, which lasted 13 months, led to the expulsion or flight of ethnic Georgians. The population of Abkhazia was cut in half. In May, 1994, a quadripartite agreement was signed in Geneva among representatives of Georgia, Abkhazia Russia, and the United Nations. In August 2008, there was a remake of the Abkhasia film. On 7 August 2008, Georgian armed forces moved into the separatist republic of South Ossetia and then into Abkhazia. South Ossetia had also declared its independence from Georgia at the time of the breakup of the Soviet Union. South Ossetia had first asked in 1989 to be joined with North Ossetia, but this was not accepted at the time. In August 2008, there were Russian troops available in North Ossetia for speedy reaction. The Russian troops moved quickly in support of the South Ossetians, many of whom had been given Russian passports. There was brief but violent fighting. There was a refugee flow of Georgians living in South Ossetia toward Georgia and of South Ossetians toward North Ossetia. Russia recognized the independence of both Abkhazia and South Ossetia on 26 August 2008. The Abkhazia-South Ossettia outcome has led some to quote the advice of Lord Palmerston in an earlier Crimean crisis: "The policy and practice of the Russian Government has always been to push forward its encroachments as fast and as far as the apathy or want of firmness of other Governments would allow it to go, but always to stop and retire when it met with decided resistance." What seems certain now after the recognition of the Independence by Russia and of a decade of independent life is that South Ossetia will not be reintegrated into the Georgian State. The breakup of the USSR has left a series of "mini-states", economically fragile, potentially manipulated by more powerful States. They are unlikely to be reintegrated into their former State even if promised a good deal of autonomy. Our time will be remembered as the strange epoch during which the economic, ecological and scientific interdependence of our planet burst into the open and yet there are new political divisions being made. The world, therefore, finds itself in the throes of two contradictory currents - a potent, deep-seated tidal wave toward interdependence, and the final carving out of the planet into new States. Thus, we must deal with the issue of new States born of the breakup of Yugoslavia and the Soviet Union: Abkhazia, Kosovo, Nagrono-Karabakh, South Ossetia, and Transnistra. 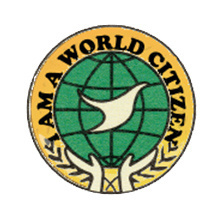 The Association of World Citizens has proposed forms of asymmetrical federalism or con-federal forms of administration. At one time, I thought that there could be a possibility of creating a pan-Albanian cultural union, grouping Albanians in Albania, Kosovo, and Macedonia while at the same time having a autonomous Kosovo still within Serbia. I had proposed the model to different people involved in the Kosovo negotiations, but the idea went nowhere. Governments like clear-cut and simple solutions. One is independent or not, as one is pregnant or not. "Made in War" is the mark of origin stamped upon many States. Their sizes, their shapes, their ethnic make up are the results of wars. There are virtually no frontiers today that are not the result of wars: world wars, anti-colonial struggles, annexations by victors, wars against indigenous populations. Flexibility, compromise and cooperation are necessary to find mutually acceptable forms of government. There is a need for political creativity . These virtues are often in short supply. Thus we need to encourage cooperative and associative methods of problem-solving, ways of thinking about new institutions and practices.